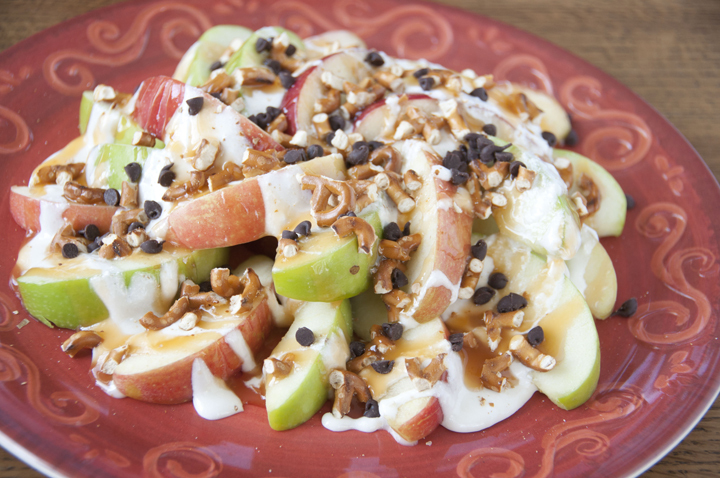 Sweet and Salty Apple Nachos Recipe. If you love caramel apples, you will love these “nachos” for snack or dessert. I know it’s not apple season yet, but it’s never too early for a good apple recipe, don’t you agree? 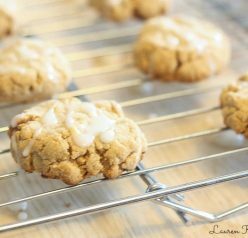 This one is actually better in the summer because it’s a snack/dessert you can make quickly and no oven is required. That being said, this will also be a great way to use apples during actual apple season. Crunchpak has been around since the year 2000 and are committed to providing the highest quality organic and conventional sliced apples in the market. Crunchpak even has a full line of organic products! 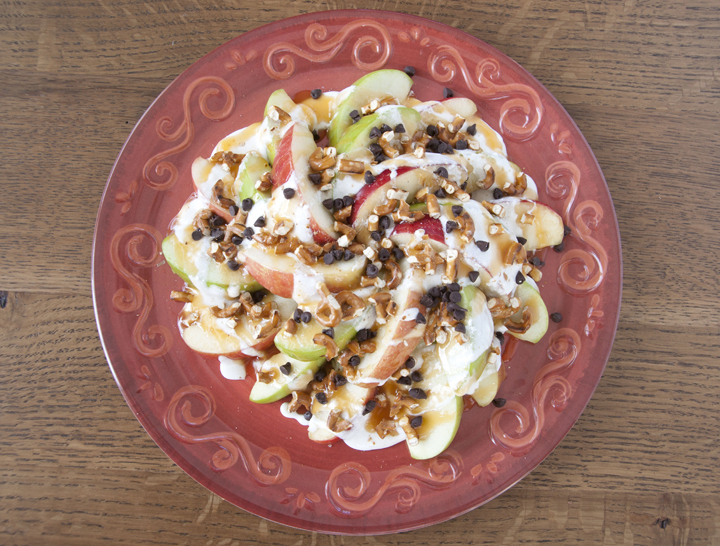 Apple nachos are just like regular nachos, but instead of pouring cheese and toppings all over tortilla chips, the toppings are thrown on top of crisp apples. They are so easy to make and super fun. They also look pretty and colorful! I used a mixture of both red and green apples for a little tart and a little sweet flavor. Obviously, you don’t even really need a recipe to make these because it’s really whatever you prefer and how much of it you prefer. 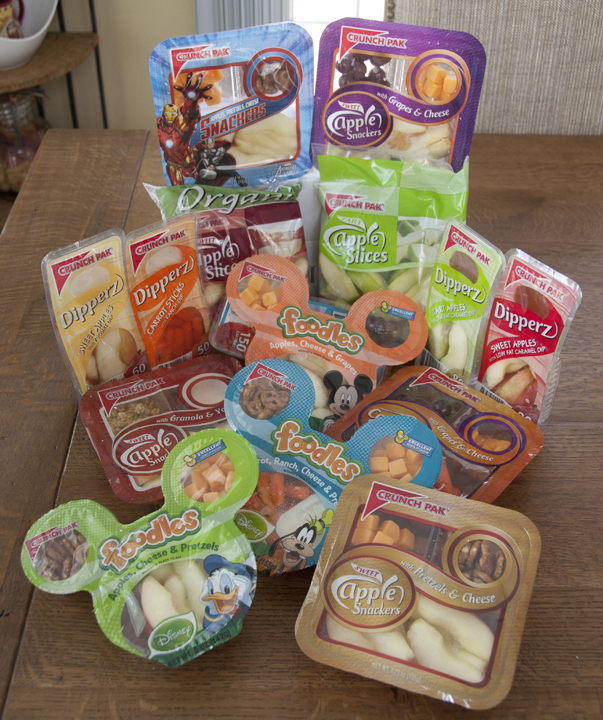 Just grab your favorite toppings and use your imagination to get all creative and make them to your liking. Enjoy and don’t forget to check out Crunch Pak and find a store where you can buy their goodies! Sweet and Salty Apple Nachos Recipe. If you love caramel apples, you will love these "nachos" for snack or dessert. Soak apples in a bowl of water with the juice from one lemon for about thirty minutes. This helps to keep them from browning while they’re sitting out. Drain apples and pat dry. Arrange apple slices on a plate. Place butter and marshmallow fluff/marshmallows in a microwave safe bowl. Heat about one minute or until completely melted. Stir together until smooth. Drizzle marshmallow sauce over apples. Place platter in the refrigerator for 10 minutes to allow the sauce to cool slightly. Drizzle with caramel sauce. Sprinkle pretzel bits and chocolate chips over the top and any additional toppings of your choosing. Disclaimer: I received no form of monetary compensation for this post. I did receive a sample of the product to try in order to write a fair and honest review. The opinions expressed in this review are my own and were not influenced in any way. Apple Nachos?? Totally brilliant!! I have a 14 year old daughter who would probably clear a plate of these beauties all on her own. Marshmallow fluff?? yes! Such a fun idea, love these nachos!!! My kids would make this disappear in minutes. Yes! I LOVE apples 🙂 Even better when in nacho form. I LOVE that you added pretzels to these! Next time I make my microwave apples with almond butter, cinnamon, and chocolate, I am totally going to add in some pretzels too! This looks like an amazing snack! All of the apples in our area have been expensive and not so tasty, so I can’t wait for apple season! Apple nachos?? How fun! I love that you used pretzels in here! Apple nachos? What a great idea! I love the combo of sweet and salty, and you’ve taken this over the top. Good stuff — thanks. Such a great idea! Love the mix-ins you used! Apple Nachos? Genius! I need to make this! Such a great healthy snack idea! LOVE this idea! My kids would go crazy for this! YUM! 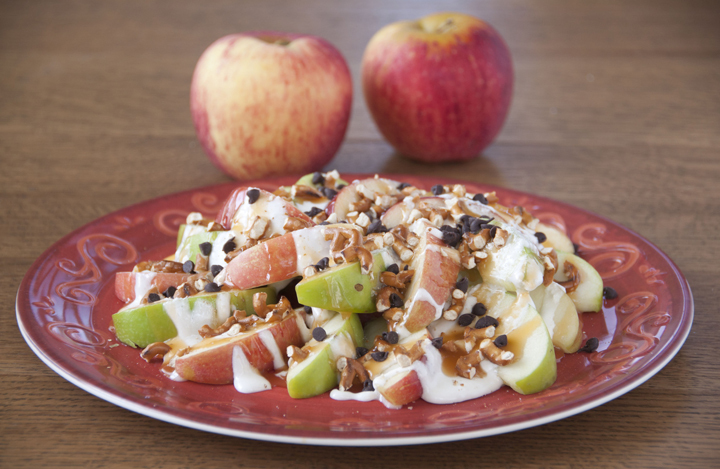 My kids LOVE apple nachos and yours look delicious!! 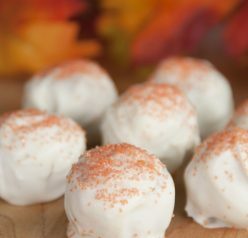 This is a really great snack idea for fall! What a terrific idea! 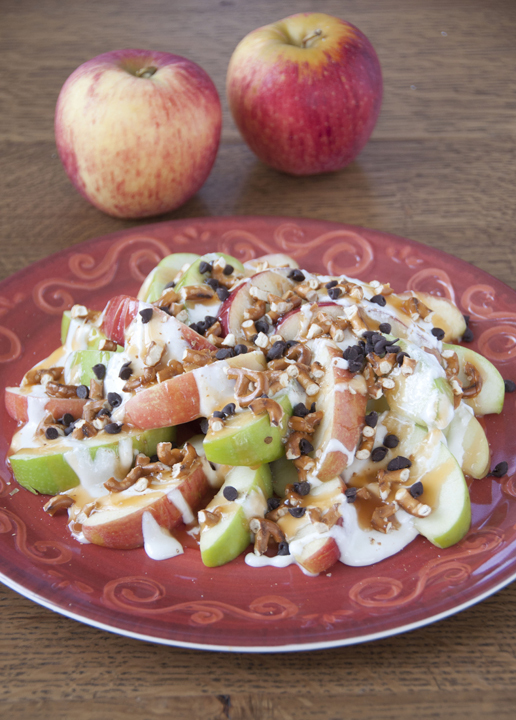 I love apple nachos….it’s such a filling and guilt free snack. Perfect for after school! This is so creative. I would have never thought to make my apples part salty. Very cool! I want to high kick here. I love nachos! Making them with apples is such a great idea! What a creative recipe! Love it. Now I can have nachos for dinner and dessert! What a great way to use summer apples! I’m starting my apple recipes on 9/1. Trust me, it was a bit early, because my Granny Smith apples were TART! Pucker up! 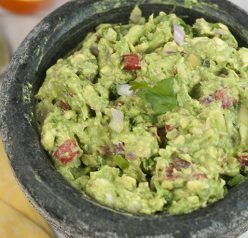 🙂 But, I’m always down for a great recipe, no matter what time it is – so this one is a go! What a spectacular idea! Definitely perfect for summer and fall. And different to boot. Such a good idea, will have to try this as apples are just coming into season over here.